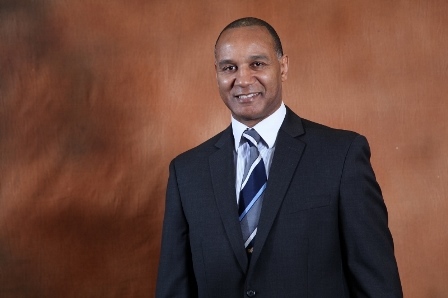 Densign White, former chairman of the British Judo Association (BJA), has been appointed as the International Mixed Martial Arts Federation's (IMMAF) new chief executive. Following a successful career in judo, which saw him compete at three Olympic Games and claim several medals at world, European and Commonwealth level, White chose to pursue a career in sports administration serving as chairman of the BJA for 11 years, from 2001 to 2012. He moved onto serve as the European Judo Union chief sports director and has acted as an executive member of the British Olympic Association. In total, White has four decades of experience in judo to his name as an athlete, administrator and also a coach. "Densign White brings invaluable experience from his previous administration of an Olympic martial art, and the IMMAF Board believes that he is the best candidate to carry the organisation through the next phase of its journey," said IMMAF President Bertrand Amoussou. "I speak on behalf of the whole Board in saying we are very proud to welcome Densign White to the IMMAF helm, and we look forward to successful years ahead for the sport under his leadership." Mixed martial arts (MMA) and judo have much in common and indeed, judo forms one of the components of its hybrid cousin. But, earlier this week, International Judo Federation President Marius Vizer warned that the migration of judokas to other sports and disciplines would represent a spiritual contamination of the sport. Increasing numbers of competitors are nevertheless making the transition from judo into professional MMA, including Ultimate Fighting Championship bantamweight title holder Ronda Rousey, as it continues its phenomenal growth. Rousey won a bronze medal at the Beijing 2008 Olympic Games before making her MMA debut in 2010. The IMMAF was founded in Stockholm in 2012 by August Wallén, a former fighter and previous President of the Swedish MMA Federation. It claims its aim is to establish MMA as an international sport, from the recreational level to the elite level, and it now has members in 37 countries. Its flagship event, IMMAF World Championships of Amateur MMA, is set to be held next July in Las Vegas for the second consecutive year. This year's event saw 23 countries represented. "I am delighted to be joining IMMAF at this exciting and challenging time in its evolution, and I want to thank the Board for giving me this opportunity," said White. "The growth of MMA globally has been extraordinary, but with that comes greater responsibility for IMMAF as the leading International Federation for the sport. "Over the coming weeks and months, IMMAF will raise its game in terms of governance, education for coaches and officials and implement a new global programme of world class competitions. Hector Lombard is a fourth degree black belt in Judo and former Olympic Judo competitor from Cuba. "This project will require a lot of work from me, the Board, our members and volunteers. "With this combined effort, I am confident that this organisation will achieve success beyond and above all expectations."